Whenever it comes to the purchasing of some new furniture article for my home interior I feel like literally screwed up as I know my wallet is going to be drained so rapidly. I feel compassionate towards my financial situation. But thanks to the art of recycling since I have been into this, my life has really been transformed totally. You too are advised to try this out. Now let’s get to some real business. 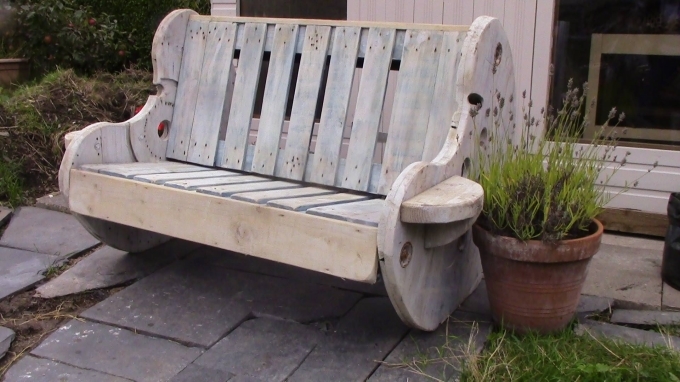 Today we have plans to recycle a bench with cable reel and pallets. This is going to be a real unconventional piece of furniture for you. All of us primarily aware of the pallets, but let’s just have a glimpse over cable reel. A cable reel is also a wooden object that is used to carry the mega cables used in huge projects. These cable reels are also trashed after using the cable. 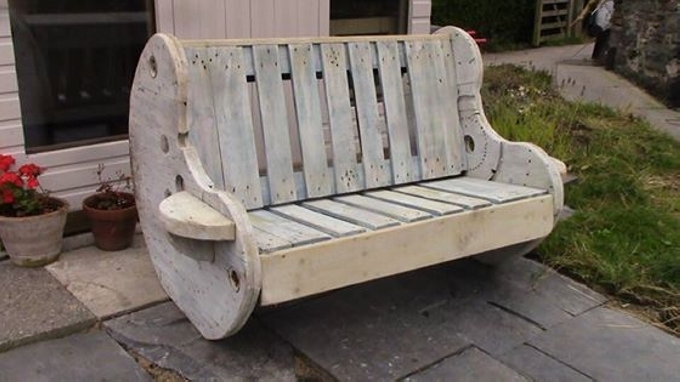 So in this project we are focusing to recycle cable reel, and some pallets to turn them into a stylish bench which is certainly unique in shape and size. The moment we are done with it, every one of us would be in a hurry and desperation to grab this one. Let’s discus its each nuke and corner. Both extreme circular ends are recycled using the circular ends of a cable reel. They are separated from the inner connecting wood pillar, and then they are cut and shaped in this way along with tiny arm rest connected. 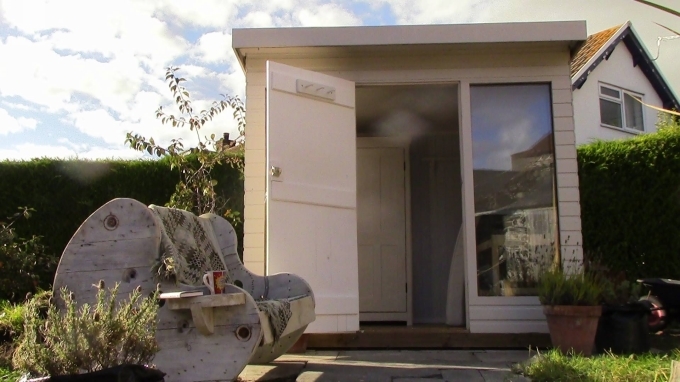 While the back and seating of bench is recycled using the pallet planks. So this could be safely named as a pallet with cable reel bench. It is left unstained in its pretty rustic color. Place it in your patio or your garden, anywhere outdoor. You would love sitting on this pallets with cable reel bench.